Kensington Palace has declined to confirm whether President Trump will be welcome to attend the upcoming royal wedding of Prince Harry and Meghan Markle. A spokeswoman for the Palace, Julie Barley, told Newsweek, "We’re focusing on the happy announcement of their engagement," and added that the guest list "will be announced in due course." However, talking heads and pundits are already speculating whether the Trumps or Obamas will make the guest list. Being that Markle is a U.S. citizen, Business Insider suggests that Trump could expect an invitation to the wedding, which is expected to take place this coming spring. However, the British royal is reportedly highly critical of Trump in private, according to an US Weekly report earlier this year, in which a "close source" said Harry "is not a fan" of Trump. "Harry thinks the president is a serious threat to human rights," the insider told the magazine. Negative comments made by Markle about Trump have also resurfaced, with her reportedly previously describing the American leader as "misogynistic" and "divisive." Markle, who is best known for her role in the Suits television show, even claimed that she would leave America if Trump was elected. Still, Trump could be left off the guest list for less personal reasons, as the Obamas didn't attend the 2011 wedding of Harry’s older brother William, which was reportedly due to security costs for the then-first couple. On the other hand, however, the Obamas have appeared, at least on camera, to have forged a close relationship with Harry. Michelle Obama and Harry appeared together at a school event in Chicago recently and are regularly seen joking with each other whenever they attend events together. But Melania Trump also had a warm encounter exchange Harry during the Invictus games this year as well. The former U.S. president was also seen sitting and laughing with Harry at the Invictus Games earlier this year, where Obama was reportedly overheard quizzing the 33-year-old royal on his relationship with Markle. 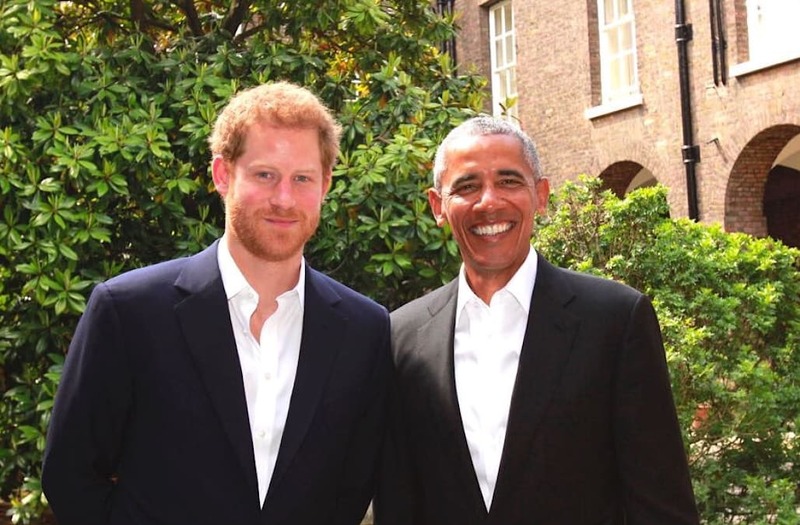 Obama was also hosted by Prince Harry at the Kensington Palace back in May.